Upon arriving in Canada, learning English becomes a priority for most refugee newcomers. 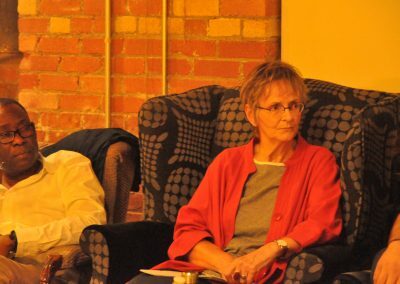 The Breaking the Language Barrier panel discussion was inspired by challenges and needs that exist within the current English as a Second Language (ESL) programs available for newcomers in Canada.Panelists and participants identified that there are many processes in place that are not well-matched to the unique requirements of refugees settling in to Canadian life. This report highlights some of the challenges present with the intake assessment process, access and content of current ESL programs, and the outcomes in use that measure progress. Opportunities for improvements along each of these domains are also considered. Sara (name changed for privacy) was assessed at a Level 6. She didn’t agree with this assessment, feeling that her language skills were in fact higher. It took her a while to get a second assessment, but when she did, she was appraised at a higher level. 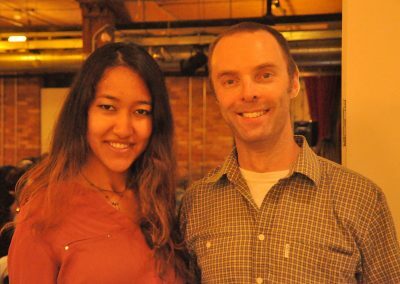 She was able to complete a TOEFL English assessment and enter college directly. Sara’s story is probably unique because many newcomers don’t have the knowledge or confidence to request a second assessment, even when they know their own ability doesn’t match that of the assessment results. Many refugee newcomers are unaware of their right to challenge an initial assessment, and request a re-assessment. Upon arriving in Canada, learning English becomes a priority for most refugee newcomers. 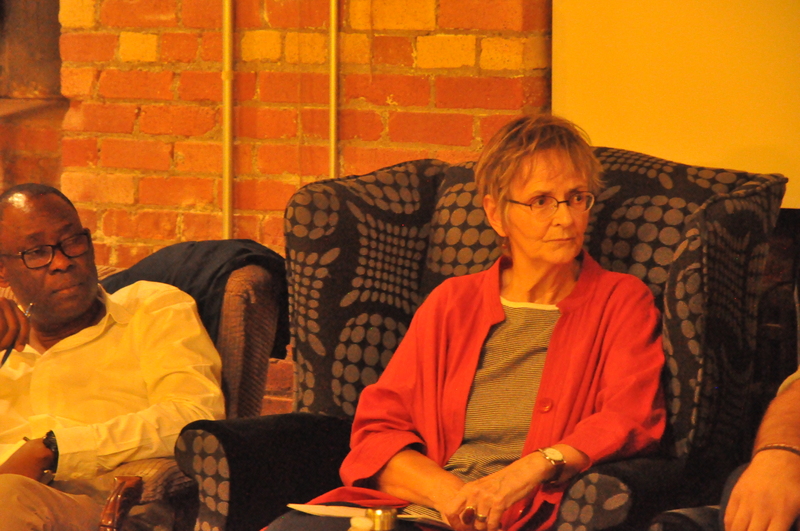 The Breaking the Language Barrier panel discussion was inspired by challenges and needs that exist within the current English as a Second Language (ESL) programs available for newcomers in Canada. Panelists and participants identified that there are many processes in place that are not well-matched to the unique requirements of refugees settling in to Canadian life. This report highlights some of the challenges present with the intake assessment process, access and content of current ESL programs, and the outcomes in use that measure progress. Opportunities for improvements along each of these domains are also considered. The Breaking the Language Barrier panel discussion and report were made possible by the incredible contributions of our partners and volunteers. 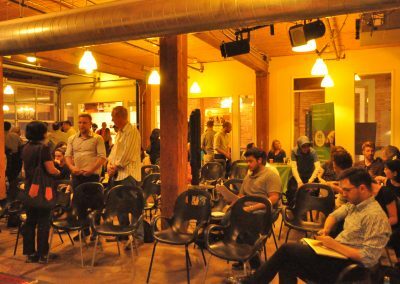 We are grateful to the Centre for Social Innovation for donating space and for their continued support and encouragement. 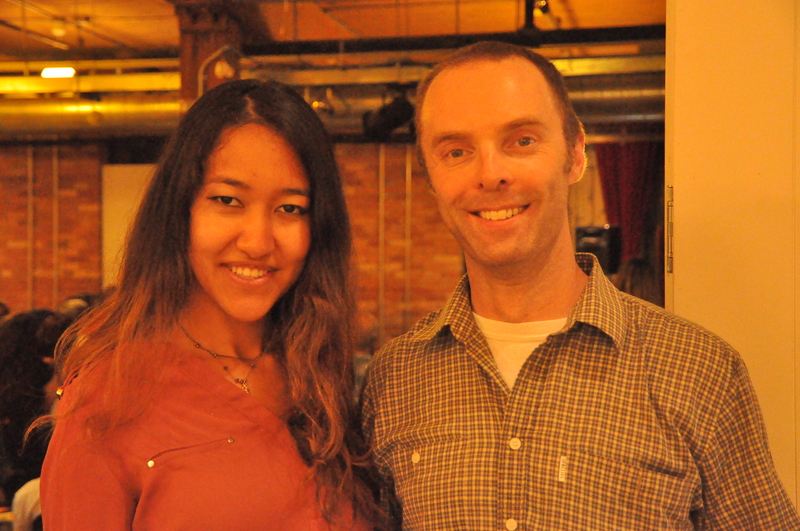 A special thank you goes to Kawai Lam for his logistics support and amazing community animation. 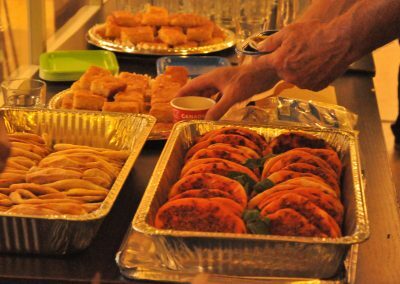 The evening’s food and beverages were sponsored by MCIS Language Solutions and prepared with love by the Arab Community Centre of Toronto’s New Canadians Kitchen; to learn more about their catering services, visit them online here. Photography was provided by SamWise Media. None of our work would be possible without the dedication, passion and professionalism of our volunteers. The WHTO team shares their gratitude with Sally Abdullah, Nadine Aboud, Emma Bartel, Aisha Bukhari, Sera Bulbul, Evelyn Chan, Cassius Fragomeni, Laura Maxwell, Abtin Parnia and Frederico Vargas. This report was prepared through the collaborative efforts of Emma Bartel, Rania Younes, Craig Carter-Edwards, Evelyn Chan, Kitty Shephard and Aisha Bukhari. 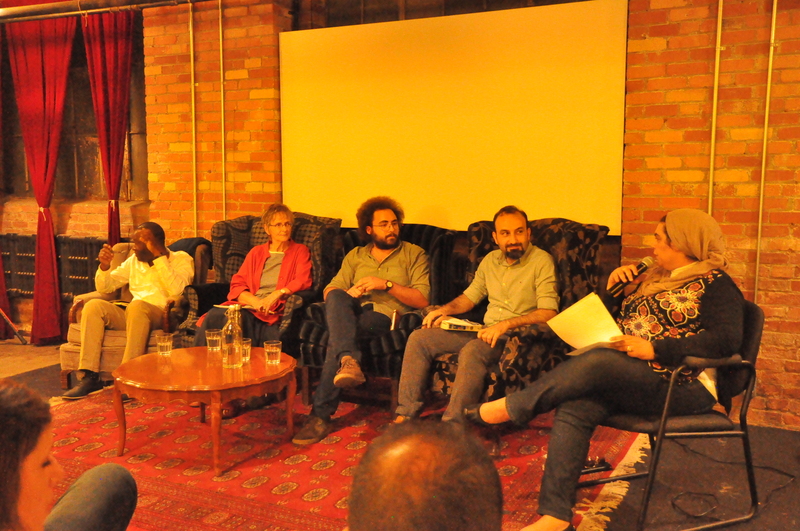 We would like to acknowledge that this panel conversation took place on the traditional territory of the Huron-Wendat and Petun First Nations, the Seneca, and most recently, the Mississauga’s of the Credit River. 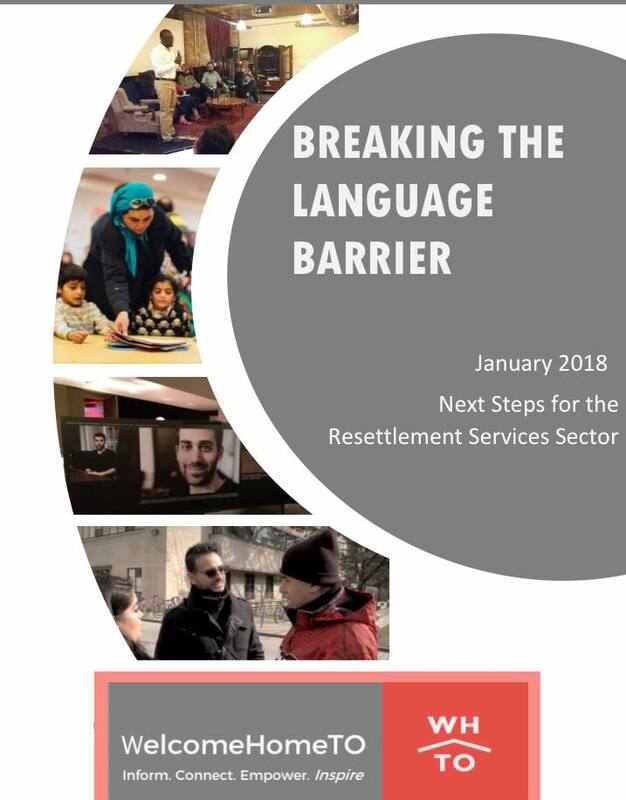 “Breaking the Language Barrier” is one of a series of critical panel discussions and conversations facilitated by WelcomeHomeTO (WHTO) in an effort to understand more comprehensively the experience of newcomers to Ontario. This report presents a summary of the views and experiences of the participants, all of whom reside and work within the Greater Toronto Area. The opinions, positions and recommendations proposed herein are those of the participants alone, and do not necessarily reflect the views, opinions or positions of any grassroots organization, settlement agency or grassroots group. WHTO makes no representations as to the accuracy, completeness, reliability, non-infringement or currency of any information in this report, and will not be liable for any errors or omissions in this information, or any losses, costs, injuries or damages arising from its display, use or publication. WHTO is a Not-for-Profit that supports the best settlement experience for New Canadians, with a current focus on Syrian Refugees. 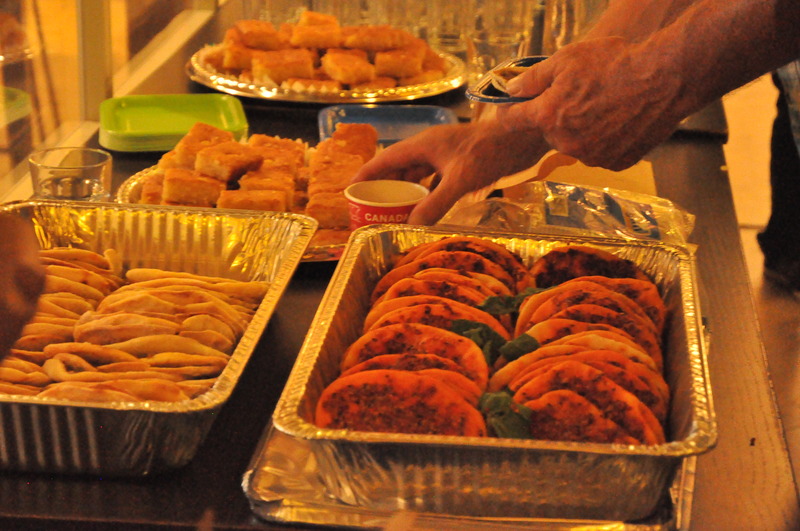 Since 2015, WHTO has documented the integration journeys of both Syrian newcomers and Canadians engaged professionally, entrepreneurially and as volunteers in the settlement process. We have conducted user research, facilitated conversations between government, agencies, and citizens, connected social enterprises with opportunities to support the settlement process and provided mentorship and insight to all parties taking part in this uniquely Canadian enterprise. 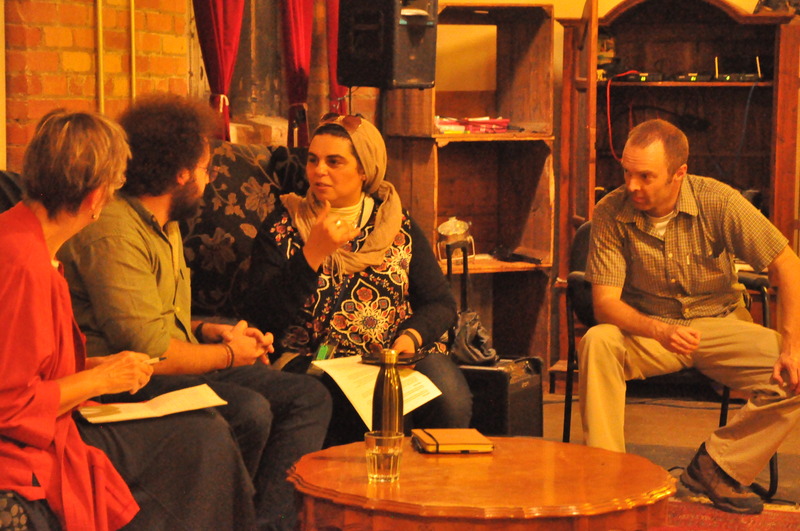 INFORM Develop and share insights and personal stories of settlement from diverse perspectives. CONNECT Create collaborative spaces and opportunities where newcomers and Canadians engaged in settlement efforts can connect, communicate, and collectively work towards a more effective refugee settlement experience. INSPIRE We believe that, for Canada’s settlement system to meet current and future demand, it must be dynamic. This requires a greater emphasis on coordinating the efforts of engaged Canadians, settlement service providers, sponsorship agencies and social enterprises for maximum impact. JUDITH FISHER was a professional actress in the UK and Canada before earning a PhD in English Language & Literature from the University of Alberta. She is now a retired professor, having taught at Queen’s University in the Departments of Drama and English for more than two decades. A current member of a Group of Five sponsorship group, she is particularly interested in working with Syrians who have a basic knowledge of English to help them master their reading and writing skills. 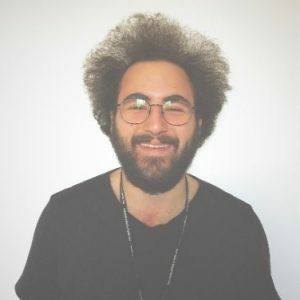 MUSTAFA FADEL is an active volunteer and a newcomer that has gone through the LINC school system and has assisted many new comer Syrians with various issues including some issues arising from LINC/ESL schools their demands or various issues around accessing a suitable school. 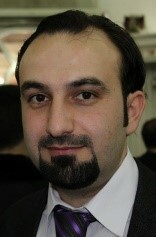 MOUNIR NASRI is a Settlement Consultant/ Program Specialist at ACSA Newcomers’ Centre. 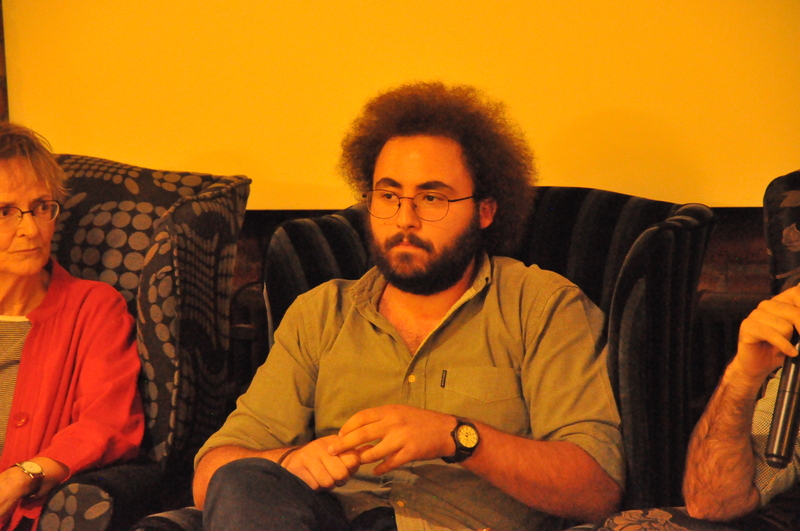 Also Mounir is a social entrepreneur and advisor in the field of community development. His multicultural background as well as his widespread organizational network in different countries across the globe have helped him build several refugee settlement programs in Syria, Lebanon and Iraq prior to his arrival to Canada under the Syrian refugee sponsorship program. CYRIL AYEBORE is a Community Services Supervisor-Enhanced Language Training, a language training and labor market access program for internationally trained newcomers. 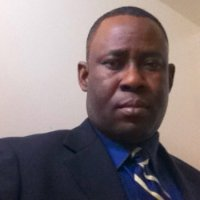 Cyril is the former Project Administrator of Toronto District School Board (TDSB) – Newcomer Services, a settlement program for new immigrants to Canada. 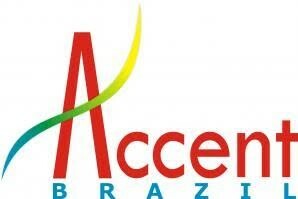 Accent Brazil is a Portuguese and English language school with an approach that perfectly prepares students for business, cultural and social interaction. We adapt our class to the needs of our students in person, online, in groups and one-on-one. Test preparation: CELPIP, IELTS, TOEFL, CELPE-Bras (for immigration, education, citizenship, workplace and other reasons). Our mission, since 2009 has been to guide adults learning English as a Second Language and to change their perspective and approach to the way in which language is learned. Via this process, we hope to provide individuals with increased confidence and improved communication skills which will enable them to connect with and participate more fully in society. This will ultimately transform into increased opportunities in all aspects of their lives. 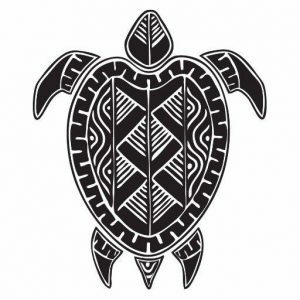 MCIS Language Solutions is a non-profit that has evolved into a model social enterprise and has been relentlessly pursuing its goal to remove language barriers for over 25 years. 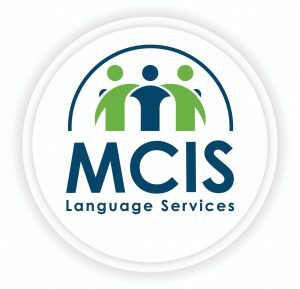 With over 40 full time staff and engaging a roster of over 5000 interpreters and translators, MCIS provides a full suite of language solutions: from language interpretation, translation and transcription to localization, training and training development for government, legal, police services and healthcare organizations in 300+ languages. LoveArabic is a social enterprise with a mission to make Arabic culture accessible to everyone in Toronto and to all Canadians! We believe that our society is facing constant attempts to create fear of people that we don’t understand. 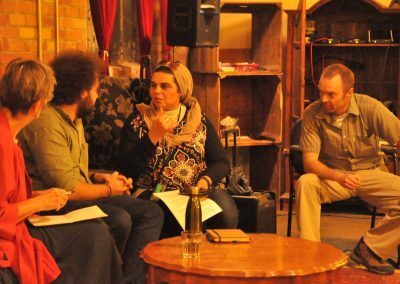 We also believe that allowing people to know more about each other, especially Arabic culture, is the key to turning these challenges into opportunities to improve our society. This will make Canada a better place for everyone. Newcomers engaging with language training services often begin with an assessment of initial English language ability. This first step often occurs very soon after arriving in Canada; this can be problematic when these refugee newcomers may also be coping with psychological and emotional trauma, and dealing with a number of competing priorities associated with initial arrival in a new country. This has meant some individuals are assessed at fluency levels lower than those they actually have. Moreover, assessments are not standardized across all ESL providers. One result at one provider may be different with another provider. This can be frustrating for individuals who need a certain English assessment for entry into work or school, and can lead to a delays and time wasted in inappropriate English classes. After assessment and placement in an ESL level, access to classes represents another challenge. Panelists and participants identified a number of reasons they have been unable to attend ESL classes. In order to attend ESL classes, primary caregivers often require some form of daycare. Lana, her husband, and three daughters came to Canada 8 months ago. They were assessed for ESL classes and were keen to start as soon as possible. One adult had to stay home with their 4-year-old and 11-month-old twins, meaning only one of them could attend ESL classes at a time. 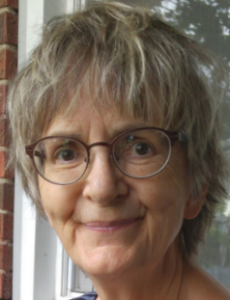 When Lana’s husband started an afternoon job, he started going to morning ESL classes, meaning Lana could not attend morning or afternoon classes. Until Lana’s husband completes his ESL classes or leaves his job, Lana is unable to register in ESL classes. This has left Lana feeling very anxious about leaving her house, as she is unable to communicate or interact without the help of a volunteer translator. Finding childcare can be difficult in and around Toronto due to long waitlists, high costs, and travel distances. 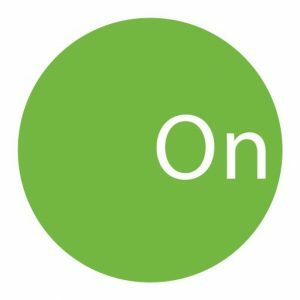 This often means that possible ESL participants must make a difficult decision about sacrificing time, money, and/or resources in order to attend English classes. When this is not possible or not reliable, potential progress of an ESL student is inhibited. A common challenge noted by newcomers is the difficulty in accessing English learning lessons because of the physical distance between their housing and the location of classes. 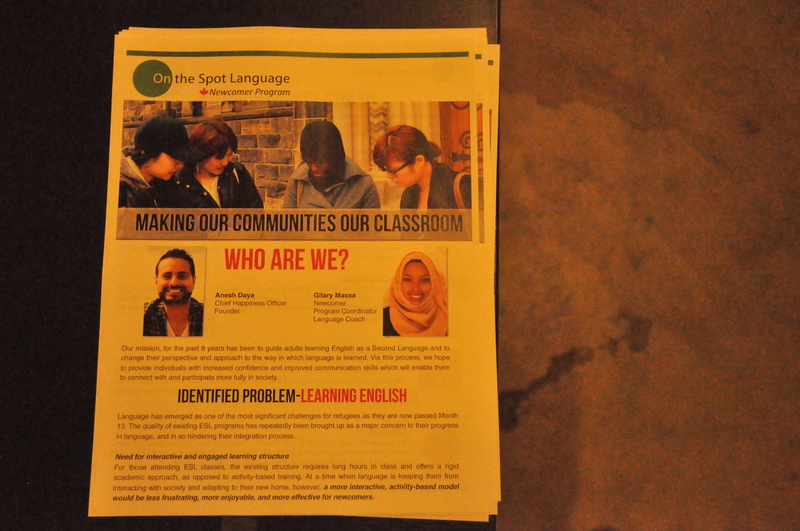 Classes are often situated in areas around the city that are not easily accessible by transit, which not only makes it difficult for newcomers to attend classes, but also makes it difficult to complete other activities, errands, or jobs that need to be done on a daily basis due to the time it takes on transit to attend the classes. It was also noted that some locations are physically inaccessible for those with accessibility challenges. 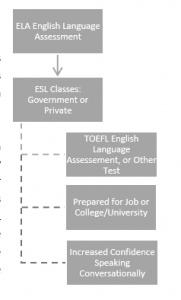 The waitlist for newcomers to participate in ESL courses is another barrier. 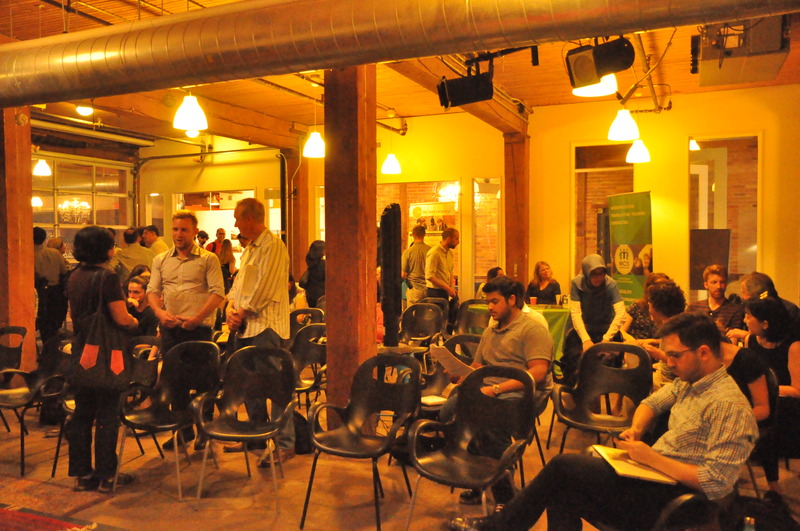 Some participants indicated a wait time of up to 6 months to attend a class. During the wait period, newcomers may struggle in many activities of settlement due to language barriers. In some cases, students are placed in classes that have availability, but they are not at the level appropriate for the student. This is unhelpful, and not an appropriate solution to waitlist problems. Ahmed’s (name changed for privacy) caseworker informed him of a local school where he could register for English Language classes, so Ahmed went to seek out availability. Unfortunately, the class at his appropriate level was full so the supervisor placed him in the next available class which was much more difficult; this left Ahmed feeling confused and demotivated. He continued to attend classes everyday but without any progress. 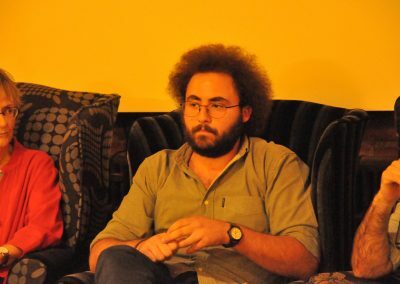 This led Ahmed into a depressive state where he eventually quit school because of the lack of improvement. When participants are able to access classes, the outcomes or end points within the classes also represent an area of frustration. Participants noted a focus with the ESL model on pre-determined organizational targets, rather than end points that are meaningful to participants. English Grammar or Practical Application? Panelists and participants noted that some ESL programs have a strong emphasis on mastering English grammar. Refugee newcomers, however, may not view grammar as a high priority over being able to communicate verbally, being able to read government documents and websites, or navigating around a city. This causes unnecessary stress and tension between the goals of the newcomer, and the goals or outcomes of specific courses. Another challenge highlighted is that participants themselves are often not aware of the progress they are making through any given course. As a result, some participants feel little motivation to remain in the program. Some participants indicated they stopped attending courses because they did not feel personal progress was being achieved. Others attended only to maintain their social assistance, but ruled out the possibility of making any progress. Basri was assessed, and registered to start English classes at a Level 1. It has been almost 2 years since he started ESL classes, and yet he has not observed any personal progress. Basri wonders why he is required to continue attending these English classes when attendance means he is unable to participate in other community and social programs that are of higher interest to him. 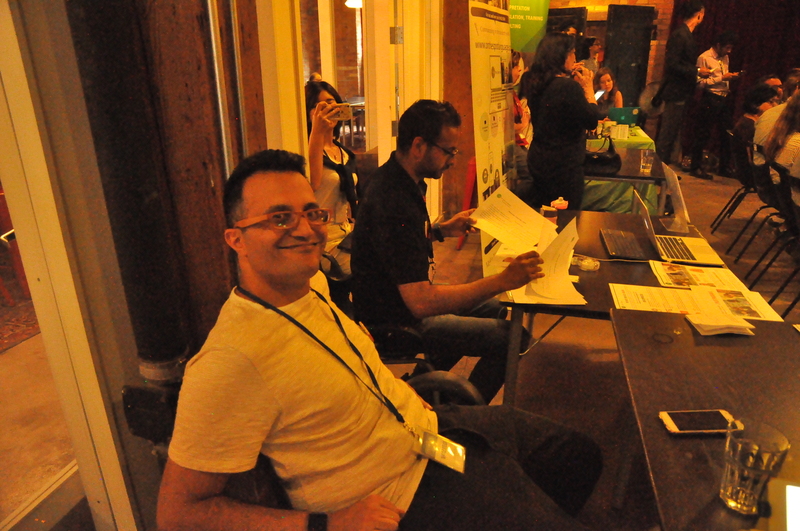 Basri worries that if he stops attending, he will become ineligible for social assistance. It was stated that a majority of ESL classes do not have an outcome measurement that gauges student progress. Of those that do, reading, writing, and speaking English are sometimes assessed together rather than separate skills that may advance at different levels. Language training programs have different ways of measuring when a participant has finished the program. Some determine graduation based on a set period of time, rather than based on achievement of a certain standard. This is problematic, as many participants move on without having learned core material. One newcomer took summer school courses and moved on from course to course based on time. After 6 months, the newcomer was at level 6, without having completed any exams. The individual was concerned about this, as workplaces would consider them to be at Level 6, while in reality, they had a working English knowledge closer to level 0 or 1. In addition to challenges that exist in the current ESL system, participants and panelists were able to identify a number of promising opportunities and areas for improvement. Individual goals for English language training may be different from person to person. An opportunity exists within the intake assessment to learn personal goals with ESL classes. Some individuals may be focused on passing a English proficiency test, while others may be seeking increased confidence in speaking conversationally. Including this as a part of the intake or assessment process may help to improve the experience of ESL participants. Newcomers have certain rights within the ESL assessment process, notably including the right to challenge an assessment result. It is important that every candidate be given information about these rights, and crucially, be provided with information on how they can go about exercising these rights in a language that is familiar to them. Participants and panelists proposed an introductory session as a part of the English Assessment process that includes highlighting these rights, responsibilities and incorporates goal setting for English classes. This could be incorporated in the form of a learning contract with individual newcomers. When assessments occur within days of arriving in Canada, some refugee newcomers may be dealing with competing priorities such that they do not perform to the best of their ability during an English assessment test. Panelists and participants suggested an ongoing assessment, seen more as a multi-step process rather than a one-time snapshot may be one way to account for this. Ongoing assessments may also help to take into account possible mental health concerns that impact personal progress within the ESL system. If individuals are not meeting their goals, regular checkpoints allow for exploration of possible solutions on an individual basis. Including a provision for childcare would increase access for many newcomers to ESL programs. One suggestion from participants was to have the ESL participants themselves provide childcare on a rotating basis from week to week, meaning each participant would not miss out on a significant amount of the class content. Technology brings new opportunities for language learning, and many of the access barriers could be mitigated with the use of online resources. Learning in person with a practice component is important, but digital platforms would increase the proportion of the newcomer population that is able to access English learning. For those that don’t have personal digital devices, libraries and community centres located close to where people live often have free computer and internet access. The development of online English learning tools is an additional way to improve access to ESL learning. Many volunteer, supplementary ESL programs exist within communities. If waitlists are long for formal, government ESL classes, one possibility would be to connect individuals to some of these supplementary programs in the interim. This would enable individuals to practice English while waiting for a chance to enroll in the formal ESL programs, and contribute to positive resettlement. Panelists and participants noted a few positive experiences with private English teaching schools. These included having a separate evaluation for reading, writing, and speaking English as skill development in each of these areas may not proceed with the same speed. These skills could be assessed separately rather than grouped in an overall assessment. As was previously noted in the assessment process, newcomers may have varying goals with English training. One of the frustrations also noted by ESL participants was the lack of personal feedback on progress throughout the course. This is another way that goals- based outcomes could improve participant’s experiences. This may take the form of including real-life tasks in lesson planning, rather than organization mandated outcomes. As research into effective ESL teaching continues, there are increased opportunities for improved use of data in decision making for ESL classes. Canada has a long history of welcoming newcomers, and it is likely that lessons can be applied across various newcomer cohorts. Many programs have mandatory reporting requirements, and mandatory data collection as a part of this, but front line are often unaware of how the data is being used. Increased transparency and reporting around data is one place to start. Data sharing across organizations is also likely to improve evidence-based planning for future programs. Some of the data points suggested by participants as being useful would include the average amount of time individuals spend at various levels, or per program, and the factors that contribute to these timelines. It was also suggested that some of these data challenges could be met with a dedicated staff position to focus on ongoing monitoring of both formal, funded service providers and informal service providers such as community groups and private sector actors. Newcomers add value to our culture, economy and society in many diverse ways. Canada has a world-recognized settlement system; however, there are many opportunities to enhance the experience of newcomers within this system. Now is the time for Canada to make important improvements, as the number of people displaced globally continues to increase. Panelists and participants noted that many aspects of the settlement system in Canada, including ESL classes, follow a one-size-fits-all design. Emphasis appears to be placed on outputs that fit funding requirements rather than personal goals of participants themselves. A user-centered approach could greatly improve the experiences and outcomes of the individuals enrolled in these programs. The system should be prepared to accommodate, adapt, and reassess to address the needs of individuals. This is particularly important for refugees who have suffered through trauma and violence, and are coping with the mental health repercussions of these experiences. Part of the process of adapting settlement programs, including ESL, will involve looking beyond the existing structures to private institutions to learn from their best practices. It will involve disrupting traditional in-class training, turning day-to-day engagements and work experiences into part of the practical language acquisition process. Including newcomers as a co-creators and active participants in their ESL training and broader settlement can only strengthen and hasten their full integration as participating members of our society with a sense of belonging. 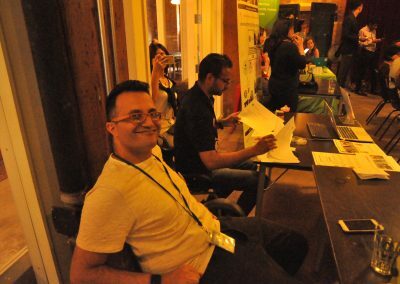 Governments at all levels are increasing transparency, creating economic opportunity and supporting social innovation through Open Data initiatives, hackathons and crowd-sourcing projects like Ontario’s Budget Talks and the City of Guelph’s Civic Accelerator. Given the high level of citizen engagement with refugee settlement through sponsorships, volunteerism, community initiatives and socially innovative start-ups, there is a natural alignment between these government-out and civil society-up movements. It is our hope that findings from this report contribute to dialogue and meaningful change within the resettlement system to improve the experiences of those coming to Canada as refugees. It is clear that by supporting each other, and by supporting refugees as a community, we are strengthening the ever-evolving fabric of Canadian society. By actively listening and responding to the challenges that emerge in our community, we can ensure that no refugee falls through the cracks of a system designed to support them. The key take-out from the Month 13 discussion, it is that our settlement system must be collaborative and dynamic, combining the resources of engaged Canadians, the experience of sponsorship agencies, and the wisdom of settlement service providers. The essential nature of collective impact to addressing the multifaceted needs of refugees during their settlement process is crucial. It is common to hear from interested citizens and the private sector that they wish to help but don’t know how or where to begin. Thus, there is a need for comprehensive systems-level maps or guides for volunteers, sponsors, businesses, and for anyone else interested in engaging in the settlement process. A responsive system will ensure that newcomers are set up for success, and that their communities can embrace them as neighbours. WelcomeHomeTO believes that an integrated system will have the ability to scale up and down, adjust to newcomers’ specific needs and adapt to different and simultaneous displacement crises as they emerge. Moreover, when government and engaged communities work together to set up newcomers for success, we reinforce our values of inclusion and opportunity for all. We hope that our panel discussion helped connect dedicated parties and that the discussions inspired impactful and practical solutions. We are looking forward to building on these ideas as new challenges emerge and would like to extend a warm invitation to everyone involved to continue this conversation with us as we move forward together. to their needs. Some programs are public, and others are private. Goals or end-points for ESL programs are varied. 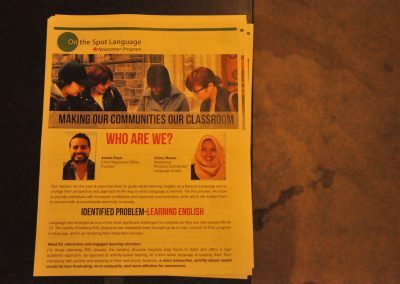 ESL programs are generally not targeted specifically for refugee newcomers, rather, they are designed more broadly for non-native English speakers.